The Vision project, designed for Snaidero by the Design House Pininfarina, wins the Good Design Award 2018, allowing the Italian company to be awarded for the 15th time. 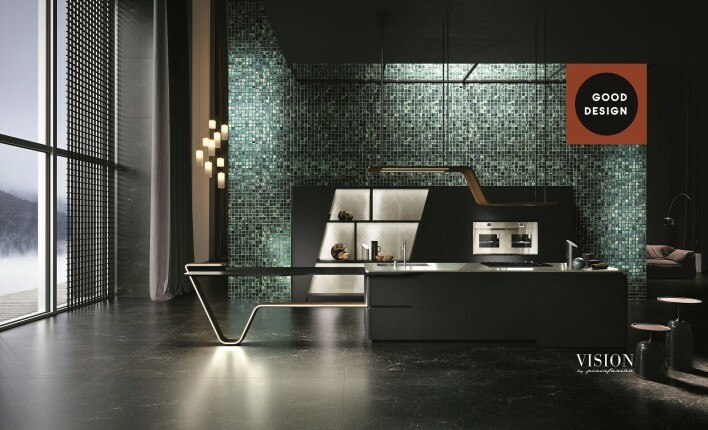 The kitchen’s design concept reflects the contemporary trend of continuous domestic spaces, with flowing surfaces and materials that bring an immediate sense of purity and lightness. This lightness is conveyed by the design of the base units for islands and peninsulas, a refined element crafted in stratified and shaped solid ash wood and designed with Pininfarina’s unmistakable style. Founded in Chicago in 1950 and now in its 68th edition, Good Design is one of the oldest and most internationally prestigious award programs for design excellence, whose list of prize winners epitomises the history of contemporary design. The Snaidero Italian style is conquering many international markets as shown by the two recently new openings of the company showrooms in Dubai and Singapore.